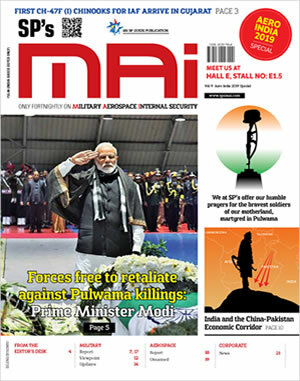 Just before Prime Minister Narendra Modi’s recent visit to Palestine, the UAE and Oman, MEA spokesperson Raveesh Kumar, while briefing media had outlined that the visit would be of strategic importance in terms of energy and security cooperation and counter-terrorism efforts, had stated, "We are looking at this visit not only from the extended neighbourhood perspective but also from the maritime perspective." Modi’s visit to Palestine was the first by a Prime Minister and immediately after Israeli Prime Minister Netanyahu’s India visit. The visit to UAE was the second by him. It may be recalled that Crown Prince Mohammed bin Zayed Al Nahyan was the Chief Guest at India’s Republic Day Parade 2017. In the case of Oman, it was also Modi’s first visit. Looking at the strategic location of Oman and its proximity to India, Oman actually qualifies as India’s immediate neighbor, not extended neighbourhood even if it is not part of SAARC, and perhaps warranted an earlier visit by PM Modi. Not many would know that Oman had first offered Gwadar to India, before offering it to Pakistan, but India refused the offer in yet another display of lack of strategic sense. 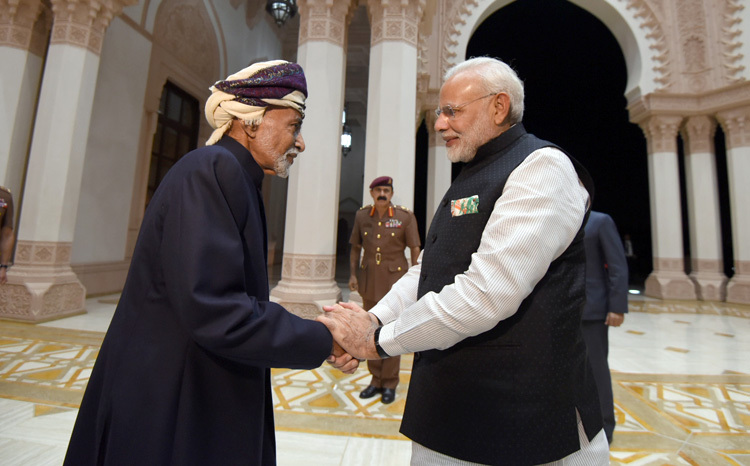 During his visit to Oman, the PM Modi-led delegation discussed strengthening cooperation in trade and investment, energy, defence and security, food security and regional issues with the Oman side led by Sultan Qaboos bin Said al Said. As strategic partners, both countries signed eight agreement, including on cooperation in the field of defence, health and tourism that included: MoU on legal and judicial cooperation in civil and commercial matters; agreement on mutual visa exemption for holders of diplomatic, special, service and official passports; MoU on cooperation in the field of health, tourism and peaceful uses of outer space; agreement for cooperation between Foreign Service Institute, MEA Oman’s Diplomatic Institute; MoU on academic and scholarly cooperation between National Defence College, Sultanate of Oman, and India’s Institute for Defence Studies and Analyses, and; signing of annexure to the MoU on military cooperation. Both countries condemned terrorism in all its forms, emphasized need to isolate sponsors and supporters of terrorism and agreed that international community should take urgent action against all such entities which support terrorism and use it as an instrument of policy. Both countries agreed to regular joint exercises by the three defence forces and training of defence officials. The 10th round of bilateral Joint Military Cooperation Committee talks will be held this year in Muscat. The high point was an agreement to give Indian Navy access to the Duqm port in Oman that extends India’s strategic reach westward. Duqm already has US and UK presence since past five years. Besides, China has invested over $350 million in the Duqm port Commercial Terminal and Operational Zone Development Project in August 2016, which implies that some Chinese presence will likely always remain here, which may include PLA personnel in garb of civilians. Still berthing facilities to Indian Navy would serve to monitor the Arabian Sea better, as also Chinese activities at Gwadar and future Jiwani bases in Pakistan. Indian naval ships regularly visit Salalah and Duqm for operational turnaround while engaging in anti-piracy operations in the Gulf of Aden. But India wants use Duqm for logistics purposes. As mentioned above, Modi’s visit to UAE was his second, which emphasizes the growing India-UAE partnership, in the backdrop of the Gulf Cooperation Council (GCC) emerging as a strategically and commercially important region for India with nine million Indians in the Gulf region. 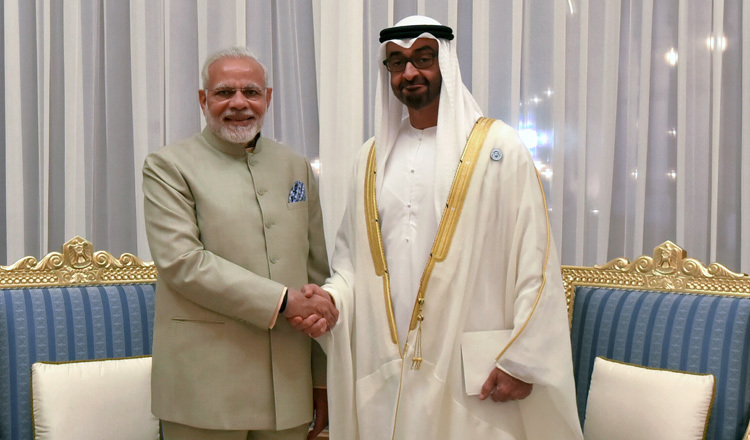 PM Modi held wide-ranging talks with Crown Prince of Abu Dhabi Mohamed bin Zayed Al Nahyan as the two sides signed five agreements related to energy sector, railways, manpower and financial services, including a historic pact awarding a consortium of Indian oil companies a 10 pre cent stake in offshore oil concession for 40 years; the concession will be for 40 years from 2018 to 2057. 60 pre cent of the participating interest will be retained by Abu Dhabi National Oil Company (ADNOC) and remaining 30 pre cent will be awarded to other international oil companies. This is the first Indian Investment in upstream oil sector of UAE. India and the UAE signed an MoU that aims to institutionalize the collaborative administration of contractual employment of Indian workers in the Gulf country, integrating labour related e-platforms for ending existing malpractices, combat trafficking and organize collaborative programs for education and awareness of contractual workers. MoU between Bombay Stock Exchange and Abu Dhabi Securities Exchange was also signed to enhance cooperation in financial services industry. The India-UAE joint statement reiterated intention to hold the first-ever joint naval exercises in the Persian Gulf, deplored terror and stressed the responsibility of all states to control non-State actors operating from their soil. 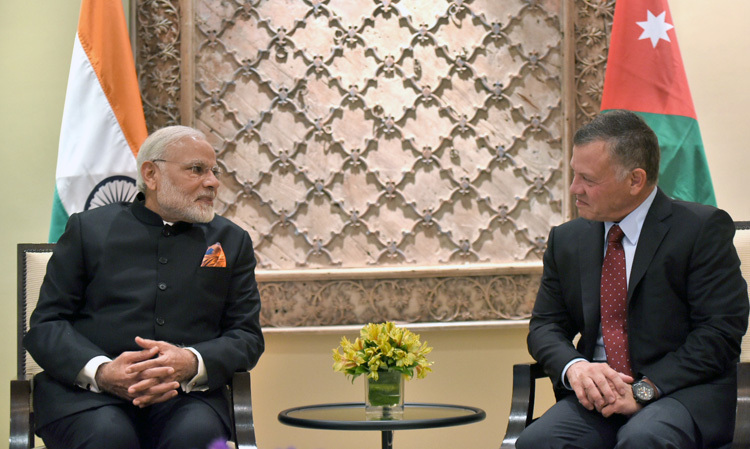 The Prime Minister, Shri Narendra Modi with the King of Jordan His Majesty Abdullah II Bin Al-Hussein, at Amman, Jordan on February 9, 2018. During the first-ever visit by an Indian PM to Palestine, Modi was conferred the Grand Collar of the State of Palestine by Palestinian President Mahmoud Abbas on Modi, the highest award in Palestine, reserved only for select few world leaders. The transit, via Jordan, to Palestine, afforded an opportunity for discussions with King Abdullah on counter radicalization and regional developments. In 2015, Palestine received the first ever visit by an Indian President and in May 2017 Palestinian President Mahmoud Abbas had made an official visit to India. In Palestine, Modi stressed the importance of dialogue as opposed to violence, assuring Abbas that �India is bound by a promise to take care of Palestinian peoples’ interests�. Both India and Palestine signed six agreements worth some $40 million in areas of health, agriculture, information technology and education: MOU for setting up India-Palestine Super-specialty hospital at Beit Sahour; MOU for construction of India Palestine Centre for Empowering Women; MOU for setting up new National Printing Press at Ramallah;; MOU for construction of school in Muthalth Al Shuhada Village; MOU for construction of school in Tamoon village, and; MOU for construction of additional floor to Jawahar Lal Nehru School for Boys at Abu Dees. On balance, PM Modi’s visit to Palestine, UAE and Oman was strategically important that helped consolidate India’s engagement with West Asia. It is also to the government’s credit that India’s relationship with Israel and Palestine has been de-hyphenated in smooth fashion.